Data is being produced at dizzying rates across industries, including for genomics by sequencers, for media and entertainment with very high resolution formats, and for Internet of Things (IoT) by multitudes of sensors. IBM Cloud Object Storage technology offers high-capacity, cost-effective storage for these applications. But it is not enough to store the data. You also need to derive value from it, which you can do using Apache Spark, the leading big data analytics processing engine. Spark runs up to 100 times faster than Hadoop MapReduce, and it combines SQL, streaming, and complex analytics. This tutorial describes how to enable Spark to use Stocator to query data stored in IBM Cloud Object Storage. You learn how to use Stocator, which is an open-source software that acts as a driver. Install and configure Spark and Stocator. 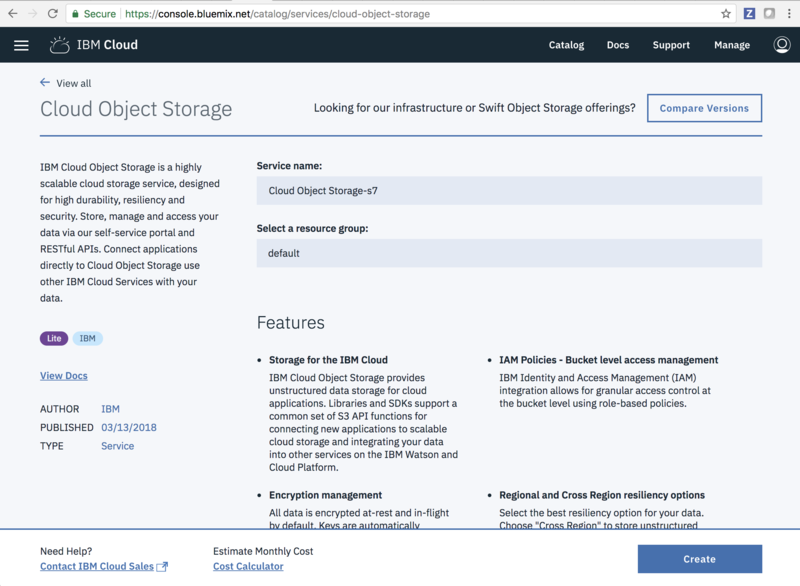 Configure Stocator to use Cloud Object Storage. 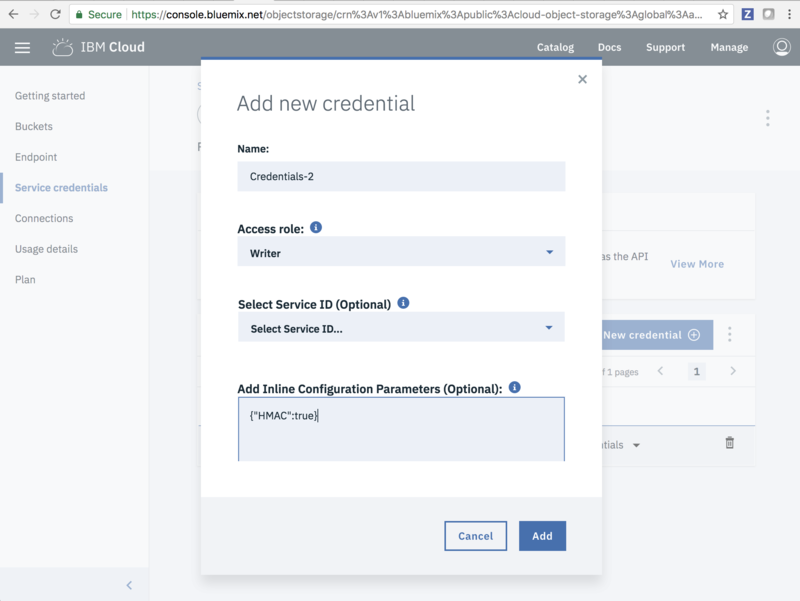 An IBM Cloud account. If you don’t already have an account, you can sign up for one here. Maven installed on your computer. Download Spark from the Apache site. Refer to the Building Spark page for instructions on how to build Spark. To create the steps in this how-to guide, we used Spark 2.3.0 and built from source in the home directory ~/spark-2.3.0/. 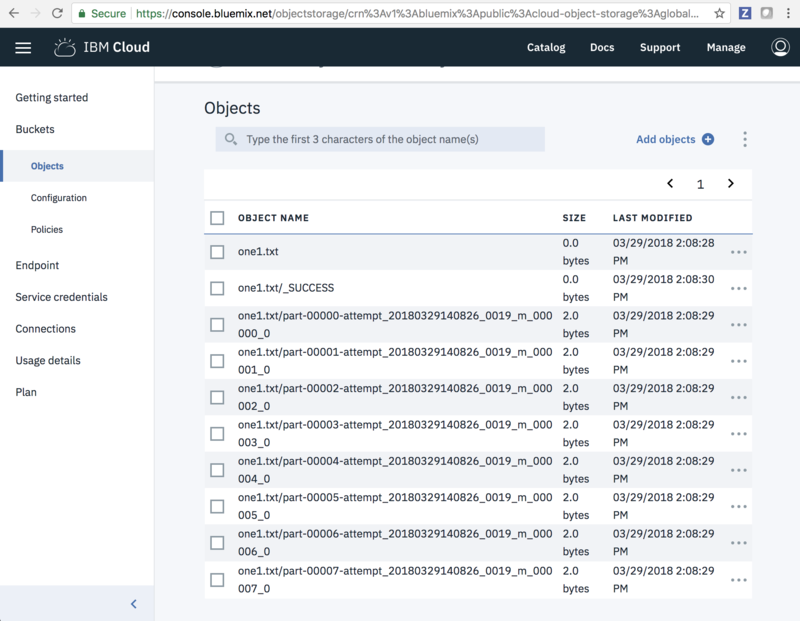 Use the IBM Cloud dashboard to locate an existing Cloud Object Storage. If you don’t have one, click here to provision one. Now you have an access key and secret key pair which Stocator uses. Get the access key and secret key from your credentials. Details of the configuration are here. For advanced users, see the Using Stocator with Apache Spark compilation instructions to recompile your Spark installation again with Stocator. This guide will use Spark with the standalone jar you built earlier which should be in the target directory of Stocator. You need to do this everytime you want to use Spark with Stocator. The jar file you built earlier will be like stocator-1.0.17-SNAPSHOT-jar-with-dependencies.jar. The uri for your IBM Cloud Object Storage would be in the format of cos://UNIQUE_BUCKET_NAME.myCos/. Exit out of the Spark shell context (Ctrl + C) now. You can also test the connection using this simple Python script that distributes a single list of six elements across the Spark cluster, writes the data out into a parquet object, and finally reads it back in. The name of the parquet object is passed into the script as a parameter. print "ERROR: This program takes object name as input"
By configuring Spark with Stocator to connect to your IBM Cloud Object Storage, you can quickly access your stored data using object store semantics rather than the older storage connectors that were designed to work with file systems.